To a do-it-yourself landlord or someone who does not have tenant qualification systems in place, or for those that do not know how to properly deny tenants – this statement may scare you enough to rent to that individual because you don’t want to land in court for discrimination. Can I do that? Of course! That’s because if I make any exceptions to the tenant qualification standards, I’ll be in violation of the Fair Housing Act for singling out certain groups of people for special treatment, also known as discrimination. To avoid any lawsuits, treat everyone the same and fairly. Just because someone is in a protected class doesn’t mean they don’t have to meet the rental standards – they still need income, they still need to pass the background check, etc. But you have to have uniform standards of qualifications in place, and they must be in writing and stated to each individual who fills out a rental application in order to properly deny someone for those reasons. 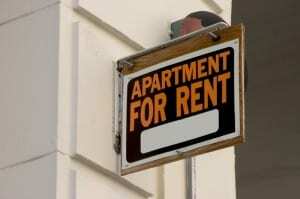 If you are afraid or uncertain of how to handle these and other rental situations, it’s probably time to hire a property manager. Otherwise, know that it takes more than a working knowledge of the laws – it takes some common sense and a standard set of procedures that you must follow in order to keep yourself protected! Gabrielle Rhind is with KGC Properties in Tuscon, Arizona, an owner operated and full service real estate company offering 24 years of expert property management experience.